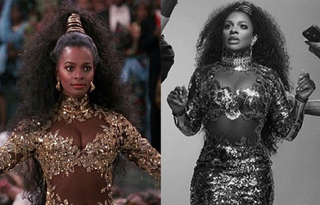 In today's "Black Doesn't Crack" news, Vanessa Bell Calloway is out here proving that just because Coming to America is about to celebrate its 28th anniversary doesn't mean she doesn't have what it takes to still slay in her Princess Imani wedding costume. Calloway posted a photo to Instagram, and while the world thought it was a #ThrowBackThursday pic, it definitely wasn't. And yes, Calloway just turned 59 years old. Can we get a Coming to America sequel?